Recruitment for the posts of General Manager (Telecom/IT), Manager (Finance) on regular basis, Deputy Manager (Telecom/IT) on Regular & Contract basis, Deputy Manager (Civil) on Contract basis, Asstt. Manager (Telecom/IT) on Regular & Contract basis, Asstt. Manager (Civil) on Regular & Contract basis In TCIL Recruitment 2019. Telecommunications Consultants India Limited, Is Appointing Eligible People To The Various Managers Posts, Which Are Mentioned Above. So Interested People Can Apply For This Job Of TCIL Through Offline Process, Details Are Provided Down Below. Kindly Do Check Out The Official Advertisement Below For An Accurate Information And Instructions. 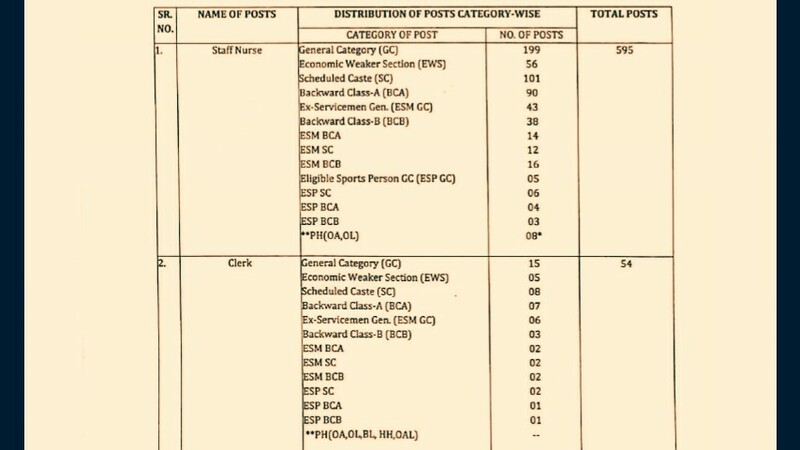 Various Managers Posts →58 Vacancies. B. Eligible Criteria For Various Managers Vacancies In TCIL Recruitment Notification 2019. Age Limit →Go Through The Advertisement Below. Mode Of Examination/Selection Process →Interviews. Offline Application/Examination Fee→The candidates will have to deposit Rs. 1000/- through DD in favour of “TELECOMMUNICATIONS CONSULTANTS INDIA LIMITED”, payable at “Delhi” for each application. The SC/ST Candidates are exempted from the Application fee. How To Apply/Last Date For Online Application Form Submission → Interested candidates should send their applications in the prescribed format to “The Group General Manager (HRD), Telecommunications Consultants India Ltd., TCIL Bhawan, Greater Kailash –I, New Delhi – 110048” up to the last date of receipt which is 14th Of May, 2019. Now Apply For Mangers Job Vacancy In Telecommunications Consultants India Ltd 2019. Click Here To Download Official Application Form For Managers Vacancies In TCIL. Office of the District Judge, Darjeeling Notification for the recruitment in different categories of posts in the Judgeship of Darjeeling 2019. The Office Of District Judge Darjeeling, West Bengal, Is Appointing Eligible People To The Post Of Lower Division Clerk (LDC), Process Servers & Group-D Category (Farash,Night Guard & Karmabandu) In Purely Contractual Basis But Likely To Be Permanent In Future. So Interested People Can Apply For This Job Through Online Process, Details Are Provided Down Below. Group-D Category (Farash,Night Guard & Karmabandu) :(Graduates Are Not Eligible For This Post). 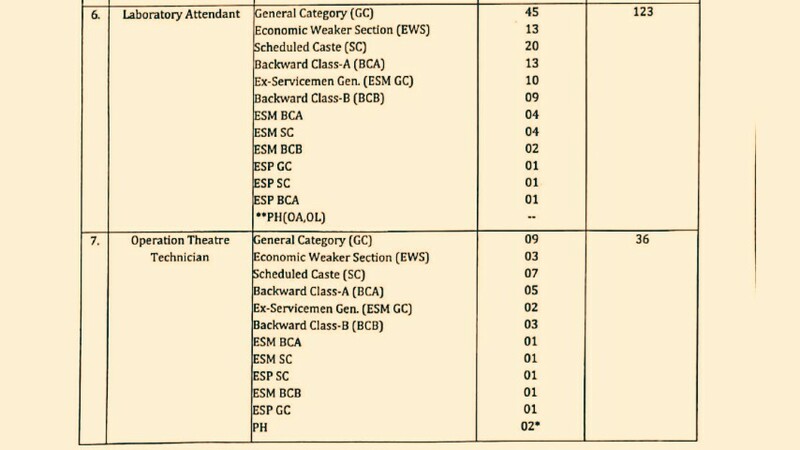 Total Number Of Vacancies →54 Vacancies, Kindly Go Through The Image's Below For EEligible Criteria Such As- Age Limit, Educational Qualifications, Mode Of Examination/Selection Process, Vacancy Distribution, Scale Of Pay & Online Application/Examination Fee. Age Limit →Age: Candidate should not be less than 18 years as on 01.01.2019 and should not be more than 40 years as on 01.01.2019 for all categories of post. Relaxation of age limit is applicable for 5 years in case of candidates of SC/ST categories and 3 years in case of OBC categories only. The upper age limit, in case of persons with disabilities is 45 years. Relaxation of age limit in case of Ex servicemen category is followed as per existing State Government rules. Last Date For Online Application Form Submission →22nd Of May, 2019. Now Apply For LDC, Process Servers & Group D Posts Vacancy In District Judge Darjeeling 2019. PT. B.D. SHARMA UNIVERSITY OF HEALTH SCIENCES, ROHTAK, Is Appointing Eligible People To The Group 'C' Posts. So Interested People Can Apply For This Job Of PGIMS Through Online Process, Details Are Provided Down Below. Total Number Of Vacancies →976 Online Vacancies, Kindly Go Through The Image's Below For Details Regarding Vacancies & Name Of The Posts. (Credit- The Official Advertisement No. 02/2019 PGIMS). B. Eligible Criteria For Group C Posts Vacancy In PGIMS Recruitment Notification 2019. Mode Of Examination/Selection Process →Written Exam/Typing Test/Computer Test. For More Info →The Official Website Of Pandit Bhagwat Dayal Sharma University of Health Sciences, Rohtak (PGIMS) . Now Apply For PGIMS Group C Posts Recruitment 2019. Thank You All For Your Support And Love, Till Then Stay Safe And Blessed. Army Recruitment Rally will be held for eligible candidates of Darjeeling and Kalimpong districts from 17 June 2019 to 18 June 2019 at the Ghoom Army Ground. Online registration is mandatory and will be opened from 26 April 2019 to 09 June 2019 at the official website. 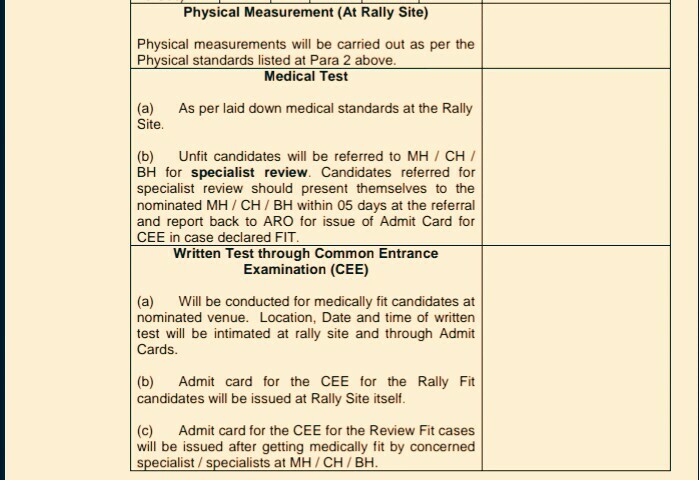 Admit Cards for the rally will be sent through registered e-mail on 10 June 2019. Candidates should reach the venue on the given date and time as mentioned in the Admit Card, Details Are Provided Down Below. 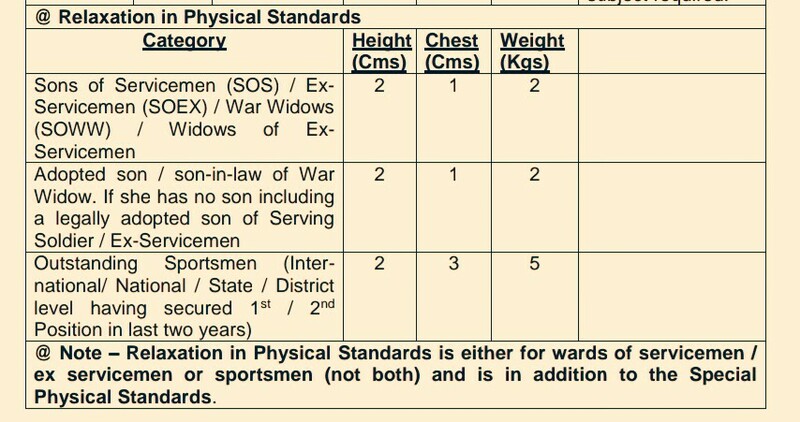 Soldier General Duty (Indian Domiciled Gorkhas) →Kindly Do Check Out The Images Below For Eligible Criteria Such As- Age Limit, Educational Qualifications, Physical Qualifications, Physical Measurement & Mode Of Examination/Selection Process. (Credit- The Official Advertisement Indian Army 2019). Last Date For Online Application Form Submission →9th Of June, 2019. Now Apply For GRD Ghoom Army Recruitment Rally 2019. Thank You For Your Continuous Support And Love, And Do Visit Here Regularly For More Info On GRD Army Bharti & Other Jobs In Darjeeling, Till Then Stay Safe And Blessed. Geological Survey Of India Ordinary Grade Drivers Recruitment 2019 Notification. The Geological Survey Of India (GSI), Is Appointing Eligible People To The Post Of Ordinary Grade Drivers. So Interested Can Apply For This Job Of GSI Through Offline Process, Details Are Provided Down Below. Ordinary Grade Drivers →37 Vacancies. B. Eligible Criteria For Ordinary Grade Drivers Job Vacancy In GSI Recruitment 2019. Age Limit →Should Not Exceed The Age Of 25 Years. (b) (i) 03 (three) years experience in driving trucks, jeeps or tractors in a recognized organization(ii) Experience in repairs and maintenance of vehicles. Mode Of Examination/Selection Process →Direct Recruitment - Selection through open competitive examination by holding trade test (practical and written) to be conducted by the appointing authority. How To Apply/Last Date For Online Application Form Submission →eligible candidates will submit their application as per the proforma given in Annexure - III along with self attested copies of their valid driving licence, certificate of experience, educational certificates, caste certificate and income certificate in case of Economically Weaker Section (Annexure - I) as prescribed by the Government of India. The application with requisite documents may be forwarded/submitted by Ordinary Post/Speed Post within 60 (Sixty) days and 90 (ninety) days for candidates from Assam, Meghalaya, Arunachal Pradesh, Mizoram, Manipur, Nagaland, Tripura, Sikkim, Ladakh Division of Jammu and Kashmir State, Lahul and Spiti District and Pangi Sub-Division of Chamba District of Himachal Pradesh, Andaman and Nicobar Islands or Lakshadweep) from the date of advertisement of this post in Employment News. Applications received after the closing date shall be treated as invalid and no correspondence in this regard will be entertained. The envelope containing the application shall indicate at the top the name of the post applied for. The applications may be forwarded to "The Additional Director General, Geological Survey of India, Southern Region, GSI Complex, Bandlaguda, Hyderabad - 500068". On appointment to the post, the pay and all other terms and conditions of the appointment will be regulated in accordance with the provisions of the relevant rules and regulations. The appointed candidates are likely to be posted anywhere in Southern Region i.e., State of Andhra Pradesh (Visakhapatnam), Telangana (Hyderabad), Karnataka & Goa (Bangalore or Mangalore), Tamil Nadu & Puducherry (Chennai) and Kerala (Thiruvananthapuram or Cochin) and will be required to work in the field areas. The place of posting is at the discretion of the appointing authority i.e., the Additional Director General & Head of Department, Geological Survey of India, Southern Region, Hyderabad. Those candidates familiar with local language and terrain will be given preference to meet operational needs of those places. For More Info →The Official Website Of Geological Survey Of India. Now GSI Ordinary Grade Drivers Job Vacancy 2019. Click Here To Download Official Notification/Application Form For Ordinary Grade Drivers In GSI 2019. CENTRAL ARMED POLICE FORCES (ASSISTANT COMMANDANTS) EXAMINATION, 2019. Union Public Service Commission (UPSC), Is Holding A Central Armed Police Forces (Assistant Commandants) Examination, 2019. So Interested Indians Can Apply Through Online Process, Details Are Provided Down Below. Assistant Commandants ( In BSF, CISF, SSB, CRPF, & ITBP) →323 Online Vacancy, Kindly Go Through The Image Below For Vacancies Distribution & Name Of The Centres. (Credit- The Official Advertisement EXAMINATION NOTICE NO.09/2019-CPF). B. Eligible Criteria For CAPF AC 2019. Age Limit → A candidate must have attained the age of 20 years and must not have attained the age of 25 years on 1st August, 2019, i.e. he/she must have been born not earlier than 2nd August, 1994 and not later than 1st August, 1999. Educational Qualifications →A candidate must hold a Bachelor’s degree of a University incorporated by an Act of the Central or State Legislature in India or other educational institutions established by an Act of Parliament or declared to be deemed as a University under Section-3 of the University Grants Commission Act, 1956 or possess an equivalent qualification. Mode Of Examination/Selection Process →Written Exam/Physical Standards/Physical Efficiency Tests and Medical Standards Tests. Online Application/Examination Fee →Candidates (excepting Female/SC/ST Candidates who are exempted from payment of fee) are required to pay fee of Rs.200/- (Rupees Two Hundred only) either by remitting the money in any Branch of State Bank of India or by using Visa/Master/RuPay Credit/Debit Card or by using Internet Banking of SBI. Applicants who opt for "Pay by Cash" mode should print the system generated Pay-in-slip during part II registration and deposit the fee at the counter of SBI Branch on the next working day only. "Pay by Cash” mode will be deactivated at 23.59 hours of 19.05.2019 i.e. one day before the closing date; however applicants who have generated their Pay-in- Slip before it is deactivated may pay at the counter of SBI Branch during banking hours on the closing date. Such applicants who are unable to pay by cash on the closing date i.e during banking hours at SBI Branch, for reasons whatsoever, even if holding valid pay-in-slip will have no other offline option but to opt for available online Debit/Credit Card or Internet Banking payment mode on the closing date i.e. till 18:00 Hours of 20.05.2019. Last Date For Online Application Form Submission →20th Of May, 2019. Now Apply For UPSC CAPF 2019 Vacancy Notification. Tata Memorial Centre, Is Inviting Eligible People To The Posts Of Nurse 'A', Through Walkin Interview Process, So Interested People Can Attain The Walkin Interview In Given Time Period, Details Are Provided Down Below. B. Eligible Criteria For Nurse 'A' Job Vacancy In TMC Recruitment 2019. Mode Of Examination/Selection Process →Through Walkin Interview. Date & Venue For Walk-In Interviews →4th Of May, 2019 In Homi Bhabha Cancer Hospital, Ghanti Mill Road, Lahartara, Old Loco Colony, Shivpurwa, Varanasi, Uttar Pradesh- 221002. Now Apply For This Job Of Tata Memorial Centre Recruitment Notification 2019. CHITTARANJAN NATIONAL CANCER INSTITUTE, Is Appointing Eligible People To The Posts Which Are Mentioned Above, So Interested Can Apply For This Job Through Offline Process, Details Are Given Down Below. Kindly Go Through The Official Advertisement Below For An Accurate Information And Instructions. Total Number Of Vacancies →20 Vacancies. B. Eligible Criteria For Senior & Junior Resident Job Vacancy In Chittaranjan National Cancer Institute Recruitment 2019. Age Limit → 37 Years For Senior Resident Posts & 30 Years For Junior Resident. Educational Qualifications →Degree/Certificates In Medical From Certified Institute/Universit, Kindly Do Check Out The Official Advertisement Below For Details. Offline Application/Examination Fee →₹200 For Unreserved Candidates & ₹50 For Other Reserved Candidates, Mode Of Payment Is Through Demand Draft, & Draft Should Drawn In Favour Of Director, Chittaranjan National Cancer Institute (CNCI), payable in any Nationalized Bank in Kolkata. How To Apply →Candidates Have To Send Their Properly Filled Application Form To This Address- Office of the Director, Chittaranjan National Cancer Institute (CNCI), 37, S. P. Mukherjee Road, Kolkata – 700 026, On Or Before 10/05/2019. For More Info →The Official Website Of Chittaranjan National Cancer Institute. Now Apply For Sr. & Jr. Resident Job Vacancy In CNCI Recruitment 2019 Notification. Click Here To Download Official Notification/Application Form CNCI. Cordite Factory, Aruvankadu, The Nilgiris, A Unit Of Ordnance Factory Board, Ministry Of Defence ,Is Appointing Eligible People For Graduate/Diploma Apprenticeship, Under Apprentice Act Of 1961. So Interested People Can Apply For This Through Online Process, Details Are Provided Down. Kindly Do Go Through The Official Advertisement Below For An Accurate Information And Instructions. Technician (Diploma) Apprentices →50 Vacancies. Total Number Of Vacancies →90 Online Vacancy, Kindly Go Through The Image's Below For Name Of The Discipline, Monthly Stipend & More. B. 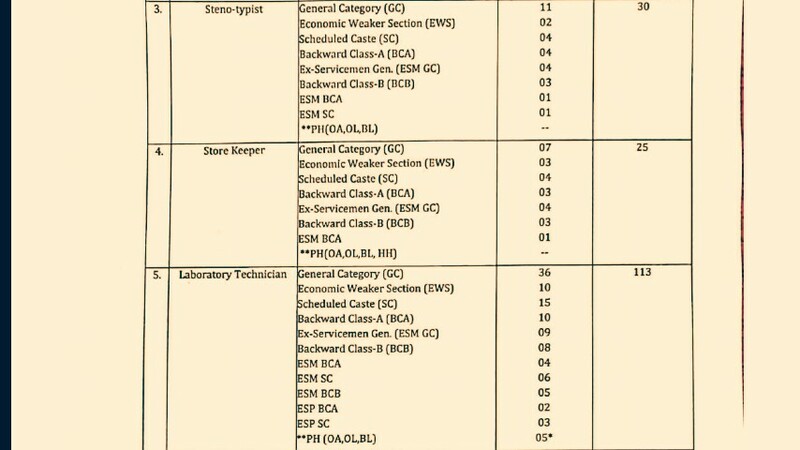 Eligible Criteria For Graduate & Technician Apprentice Job Vacancy In CFA Recruitment 2019. Age Limit →Age limit will be followed as per Apprenticeship Rules. Educational Qualifications →A. Category – I Graduate Apprentices:-  A Degree in Engineering or Technology granted by a Statutory University in relevant discipline.  A Degree in Engineering or Technology granted by an Institution empowered to grant such degree by an Act of Parliament in relevant discipline.  Graduate examination of Professional bodies recognized by the State Government or Central Government as equivalent to above. B. 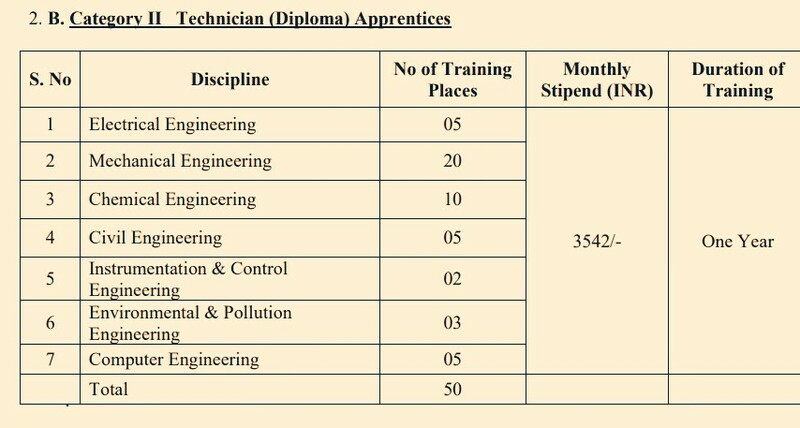 Category – II Technician (Diploma) Apprentices:-  A Diploma in Engineering or technology granted by a State Council or Board of Technical Education established by a State Government in relevant discipline.  A Diploma in Engineering or Technology granted by a University in relevant discipline.  A Diploma in Engineering and Technology granted by an Institution recognised by the State Government or Central Government as equivalent to above. Mode Of Examination/Selection Process →Board of Apprenticeship Training (SR) is interested with the task of preparation of shortlist from the online application data. Shortlisting of candidates will be done based on the percentage of marks obtained in the basic prescribed qualification as applicable to the respective disciplines. Shortlisted candidates shall be intimated through their registered Email id. Shortlisted candidates have to appear for Certificate Verification at Board of Apprenticeship Training (SR), Chennai. Last Date For Online Application Form Submission →8th Of May, 2019. Now Apply For Graduate Apprentice & Technician Apprentice In Cordite Factory Aruvankadu Apprentice Recruitment 2019 Notification.